Defence and Security company Saab has begun construction of the world’s most modern Submarine programme, the A26. On 4th September 2015, the first steel was cut for the first Submarine’s hull. The construction phase for the Swedish Navy’s A26 Next-Generation Submarine has officially begun. At the Saab Kockums Shipyard in Karlskrona, the first steel for the new vessel was cut. This is a key milestone for the world’s most modern Submarine programme. The A26 is a Next-Generation Submarine with the ability to perform in all oceans and across a broad spectrum of conflict environments. Along with its traditional load of Mines and Torpedoes, the Submarine can be equipped with Missiles. Perhaps the most unique A26 design feature is its Multi-Mission Portal, for the launch and retrieval of diverse mission payloads such as Manned and Unmanned Vehicles. “We have left the design phase behind and begun construction of the A26, a pillar of Sweden’s future Naval Defence. The A26 is a new standard bearer; a step forward in the Swedish tradition of modular design and building, it ensures maximum operational effectiveness with a lower life-cycle cost. With the A26 you can always adapt the Submarine to the mission in hand. Now that production has started it is a clear signal to other potential customers around the world that Saab is ready to deliver to them as well,” said Gunnar Wieslander, Head of Saab’s Business Unit Saab Kockums. On 30th June 2015, Saab signed contracts with the Swedish Defence Material Administration to construct, verify and deliver two new Type A26 Submarines to a total order value of SEK7.6 billion. The first delivery will take place in 2022. 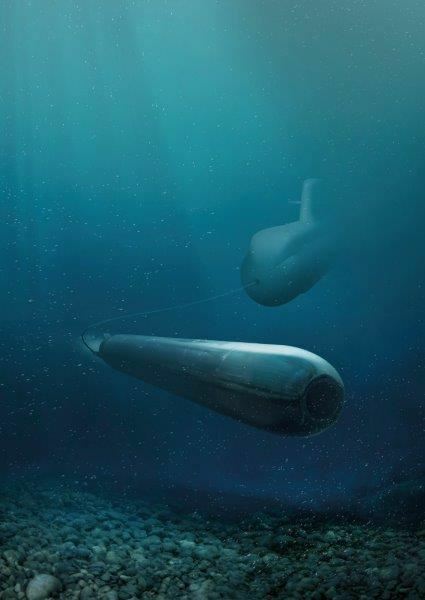 The A26 Submarine for the Swedish Navy will be powered by conventional diesel-electric propulsion machinery and equipped with the Kockums Stirling AIP (Air-Independent Propulsion) System. The Stirling System makes the A26 very stealthy and difficult to detect. The A26 boosts all the traditional operational capabilities of a Submarine and is also a strong intelligence-gathering platform within the wider defence network. Its proven modular design ensures availability, with efficient through-life Upgrades and adaptations, and low life-cycle costs. Saab has redelivered one of the Swedish Navy’s Gotland-Class Submarines to FMV after general Overhaul and Upgrades. On 29th September 2014, Saab was contracted to perform overhaul and upgrade work on one of Sweden’s Gotland-Class Submarines. That work has now been completed. All necessary measures have been taken to ensure the Submarine's operational availability. The Upgrade includes new Sensors and Navigation Systems, giving the vessel enhanced capabilities. This Submarine is one of three in the Gotland-Class (HMS Gotland, HMS Halland and HMS Uppland) commissioned in the late 1990s. These vessels achieved international reknown when HMS Halland conducted training in the Mediterranean during 2000, together with the French, Spanish and the U.S. Navies. This lead up to that HMS Gotland was based for two years (2005-2007) in San Diego, California, to participate in training with the U.S. Navy. “Modification of Submarines is our daily business. We are continuously working with upgrades of the existing Submarine Fleet. At the same time, Saab Kockums is now building the A26 Next-Generation Submarine for the Swedish Navy. It is a future-proofed vessel with a design that allows for faster and easier upgrades. Everything we do is driven by the need to make our Submarines as modern and effective as possible,” said Gunnar Wieslander, Head of Business Unit Saab Kockums.